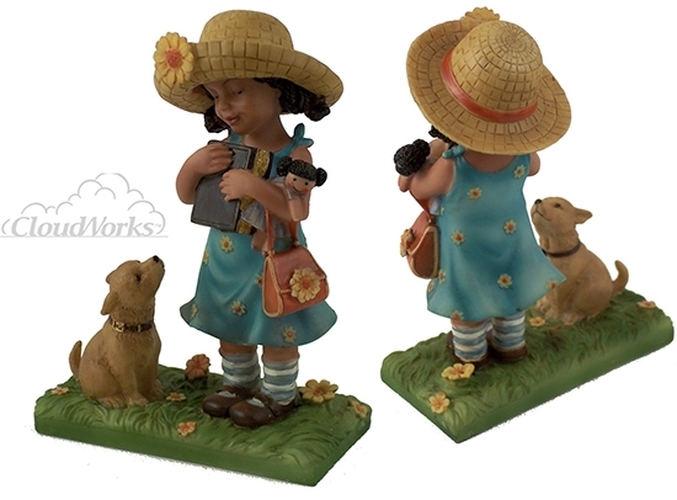 CloudWorks Sweet Memories Ebony Girl with Bible From the "Sweet Memories" ebony collection of CloudWorks. Measures 5 1/2" tall. Stone resin and quality gift boxed. CloudWorks has been known for many years for the quality and craftsmanship that they put in to their pieces. Not only is each piece unique, but each piece is painstakingly designed by their in house artists. They are not hollowed out low cost resin items, but rather quality stone resin that can be compared to some of the best quality pieces in the world.